We handle a wide variety of car crash cases, and time and again, one injury we come across is a herniated disc. Many people do not know much about this injury or how it can arise in an automobile accident. We have laid out some info below on this topic to help you understand what a herniated disc is, why it’s so common in an Illinois automobile accident, how it’s treated, and how much you might expect to get from an accident settlement. The human spine, or vertebral column, contains 33 discs, also called vertebrae. These are divided into the cervical vertebrae, stretching from the head to the lower back; the thoracic vertebrae; the lumbar vertebrae; and the sacral vertebrae at the bottom. In between most of them are rubbery discs that act as a cushion. A herniated disc happens when there’s a tear in a disc’s outer ring, called the anulus fibrosus. This tear allows the inner part of the disc, called the nucleus pulposus, to protrude, which exposes the nerve tissue inside the spine. An exposed or pinched nerve can cause agonizing pain, and victims may lose balance or motor function. But you might have a herniated disc and experience no pain at all: The symptoms of a herniated disc can vary and depend on where the disc is located. Herniated discs in the neck might cause pain in the arm, leg, or shoulder. Herniated discs toward the bottom of your spine might lead to pain in the thigh, calf, or buttocks. Aging: Over time, the spine loses agility when its water content declines. This can make the spine more brittle and prone to tears. Trauma: Blunt-force trauma can rip open the rim of a disc. It can also exacerbate an existing tear. Car accidents, falls, or other physically jarring events can be at the root of these injuries. Gradual Tear: Many people do not know when their herniated disc occurred. Heavy lifting and exercise can wear down the rim of a disc over time. Violent forces from car crashes can damage or rupture discs meant to provide shock absorption and protection to the spine. Victims often need extensive medical procedures and painful rehab, but even then, it’s hard to get back to normal. For some, the damage and pain may result in permanent disabilities. It might also hinder their efforts to return to the same activities. Our attorneys are committed to assisting these car accident victims, securing the compensation they need to help pay for their medical bills and recoup lost wages and other expenses. When vehicles crash, those inside experience rapid stops and/or sudden changes in direction. Forces placed on the body during these moments can cause serious injuries. Many herniated discs occur when the body snaps back and forth as the body’s forward motion is suddenly halted by the seat belt and/or airbag. More than 73% of car crashes cause herniated discs, and 69% of these involve lane departures. Rear-end collisions often cause herniated discs, too, due to whip-like motion that occurs in these accidents. Truck accidents make up more than 15% of accidents that cause herniated discs. The sheer force involved makes a wide range of injuries possible, so many victims suffer multiple injuries in these crashes, not just a herniated disc. No matter what type of accident you’ve been involved in, it’s important to get medical help fast, as your injuries might not be obvious. Evidence of herniated discs might not emerge for a while, so you’ll need to get a full medical evaluation to uncover and create a record of your injuries. This record can then be used to help you recover damages in court long after the crash. Treatments for herniated discs are sophisticated and varied. This is especially true after auto crashes. The type of treatment you receive will partially determine the kind and amount of recovery available in court. Diagnosis: Imaging scans such as MRIs and CT scans can rule out spinal injuries. They can also locate compressed or ruptured discs that have not presented symptoms. This might be due to the position of the injury and nerves. Remember, it is possible for those nerves to become exposed later due to continued loss of fluid in the disc. Therefore, it is important to constantly keep in touch with your doctors and maintain records of changes in your condition, which can help preserve the value of your Illinois auto accident case. Surgery: Surgery is often the only way for doctors to treat herniated discs, and the procedures used are often invasive. When surgery is needed, the value of the lawsuit tends to increase dramatically. Prescriptions. Car accidents are violent and traumatic, producing serious injuries like herniated discs that can cause severe pain. Physicians may prescribe a regimen of medications to treat the underlying pain, and plaintiffs can recover these costs. Victims may also be able to get compensation for the decreased quality of life caused by this pain. Rehabilitation. Victims with herniated discs often need long-term care and rehab. As with prescriptions, rehab costs can be recovered in court, as can compensation for the suffering caused by this rehabilitation. Herniated disc injuries in Illinois after car accidents may also require other types of treatments or expenses, and these can all be part of the amount you seek in court. You can recover for past, present, and future medical treatment and both tangible and intangible damages, as long as you can show that they stem from the car accident. Defendants in auto accident cases normally offer common defenses in an attempt to undermine your claims and the value of your case. Here are a few of the most frequent defenses and how you can combat these maneuvers to protect the value of your Illinois lawsuit. 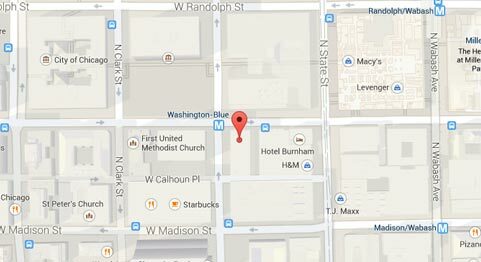 Defendants may argue that your injuries were pre-existing and were not caused by the Illinois auto accident. If they are successful, this will destroy your right to recover damages. Therefore, you need to visit your doctor right after the crash to establish that the crash caused the herniated disc or other related injuries. Put together a comprehensive medical history to cement your damages claim. Defendants might claim that you’re exaggerating your injuries and you don’t deserve damages. They won’t have much room to argue against your economic costs: You can easily bolster your claims with receipts for these. With intangible damages, you need to point to comparable cases. Show that your compensation requests for things like pain and suffering are reasonable. You also need to offer a physicians’ evidence of what will be required to treat the disc injury. Defendants could make the case that you assumed the risk or negligently caused the accident. To shoot down these claims, suggest and prove that the defendant was to blame. Show how their negligence caused the injuries. This should trump any of your own misconduct. 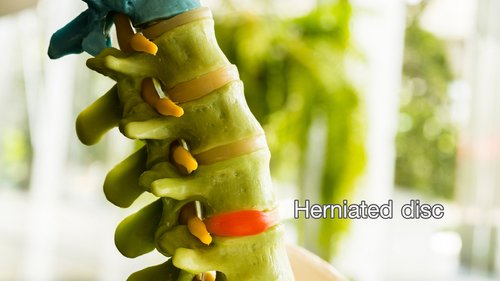 Have you suffered a herniated disc from a car accident in Illinois? If you have, call Rosenfeld Injury Lawyers. We can give you a free consultation and examine both your case and the possible compensation available to you under the law. And you’ll pay nothing out of pocket for our services: We only get paid once you get compensation. Call us today: We will get the ball rolling toward your recovery.